Revenge for the Opium Wars? 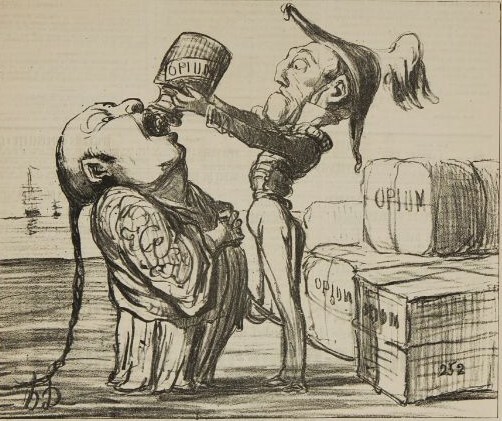 In the 1800s, the Chinese Qing dynasty found itself on the defending end of two wars designed to open closed Chinese ports to foreign trade, and essentially get the Chinese people addicted to opium. Fast forward to 2018, and one of the aggressors in those wars—the US—finds its own population dangerously addicted to opium. Well, opium derivatives at least. A US Senate investigation reported last Wednesday that Chinese e-commerce sellers are a huge supplier for carfentanil, which is: 10,000 times more powerful than morphine, mainly used as an elephant tranquillizer, and considered for use as a chemical weapon. And it’s coming right through US ports via the US Postal Service, who haven’t fully implemented suspicious package detection systems. So that’s fun!